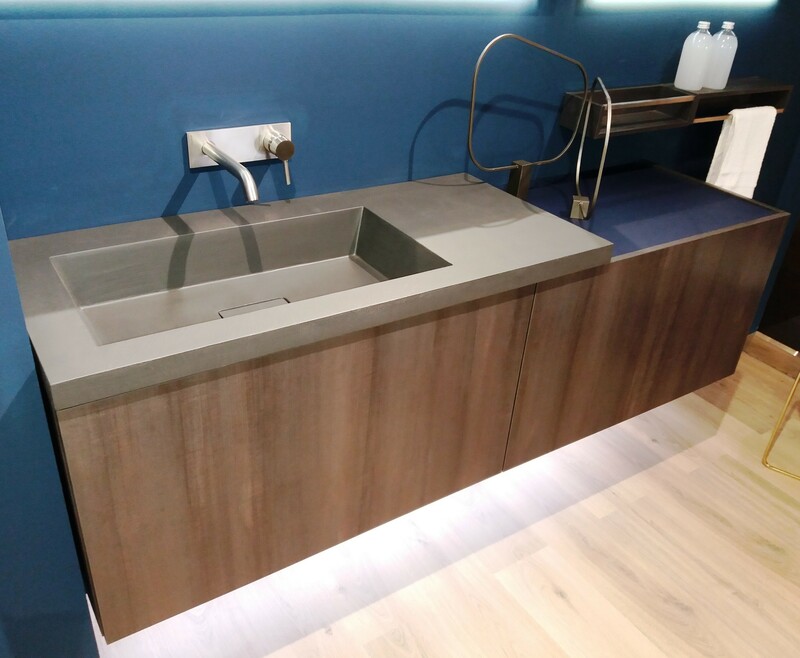 This magnificent bathroom wash table cabinet produced by the famous Italian producer mobilcrab was presented on the international trade show Salone del Mobile Milano 2018. The used drawer fitting is GRASS Nova Pro Scala. 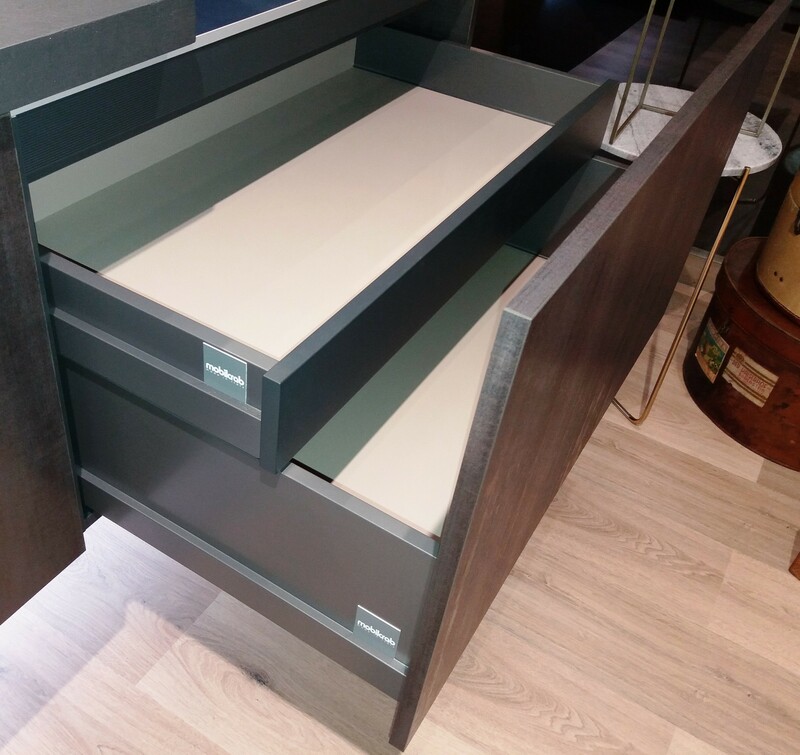 One of the drawers is of the inset type (90 mm high) and the other is a normal type of drawer (186 mm high). 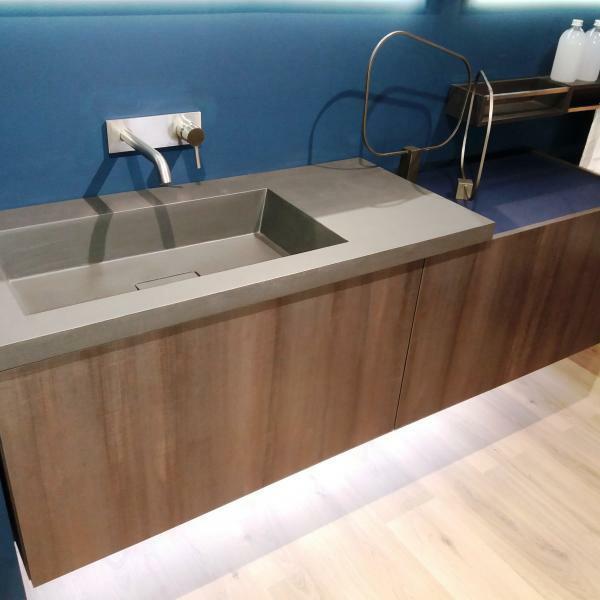 The color of the drawer sides is STONE.